Tatiana Bilbao Estudio, Sustainable Housing, 2015, Ciudad Acuña, México. Photo: Iwan Baan. Mexico is experiencing a severe housing crisis, simultaneously facing a significant need for more houses and a striking vacancy rate throughout the country. The housing shortage stands at nine million households and yet, in 2010, there were more than five million abandoned homes. This disparity reflects the consequences of improper Mexican housing policy and emphasize the need to critically examine the social and political factors surrounding it. 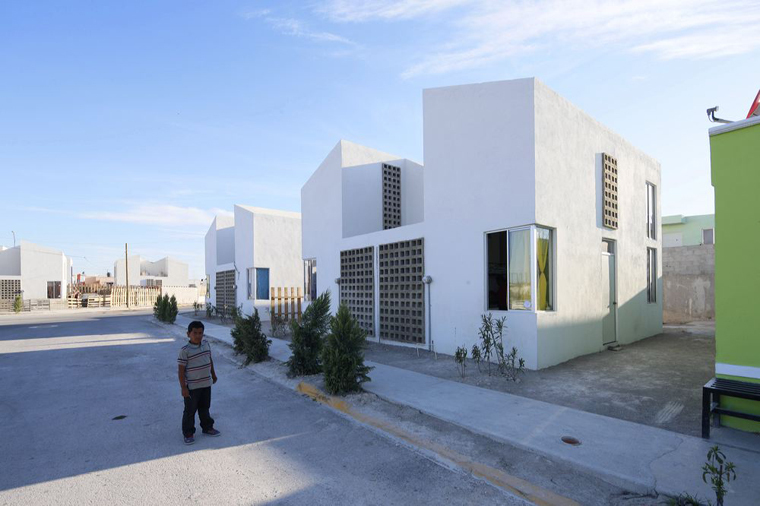 Through the lens of Tatiana Bilbao Estudio, this project aims to document and analyze different approaches to housing in Mexico, ranging in scale, intent, and concept of implementation. Twelve different projects from three different eras will be examined in an effort to undertake an archeology of housing at historically important crossroads in Mexican history. The documentation, presentation, and critical analysis of alternative social housing strategies are essential to initiating discussion, enabling change, and ultimately improving Mexico's housing crisis. Tatiana Bilbao, born and raised in Mexico City, graduated from Universidad Iberoamericana in 1996. In 2004, she founded her titular office, initiating projects in China, Europe and Mexico. In 2007, Architectural Record awarded Bilbao the Design Vanguard Award as one of the “Top 10 Emerging Firmss" of the year. In 2014, she received the Global Award for Sustainable Architecture from the LOCUS Foundation, Cite de L'Architecture of Paris, and the patronage of UNESCO. Bilbao has lectured all over the world and taught, most recently, at Yale University’s School of Architecture (2015). Bilbao believes in architecture as a means to enhance the quality of life. Working with the environment, its surrounding materials, and local craftsmanship, she strives to establish communication and exchange between all groups of society. Her multicultural and multidisciplinary office seeks to understand our contemporary world and translate its rigid codes and rules into habitable space. Gabriela Álvarez graduated from the Universidad Nacional Autónoma de México’s architecture school in 2008; in 2013, she received her master’s degree in art history from the same university. Collaborating with Tatiana Bilbao Estudio since 2014, she is currently the office’s press manager, in charge of communication, exhibitions, and publications, and also works with the design and research teams. Nuria Benítez graduated with honors from the National Autonomous University of Mexico (UNAM) in 2013, after studying at the L'École National Supérieure d'Architecture Paris-Belleville. She has collaborated with Tatiana Bilbao Estudio since 2015, for a number of different research and publications projects. Alba Cortés graduated from the Universidad Politécnica de Madrid’s architecture school. 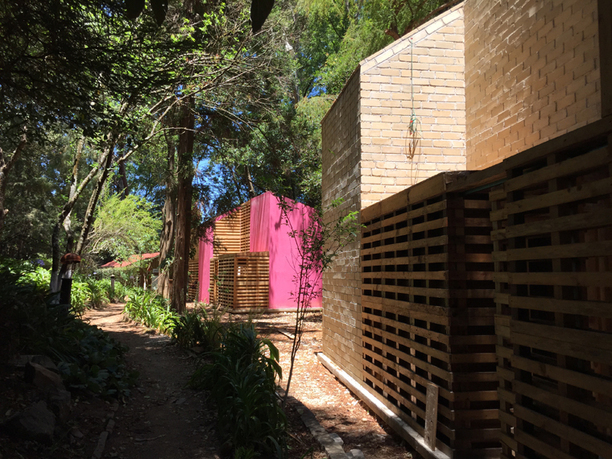 She has collaborated with Tatiana Bilbao Estudio since 2013, where she has developed different research projects on social housing, including the social housing prototype presented at the Chicago Architecture Biennial.